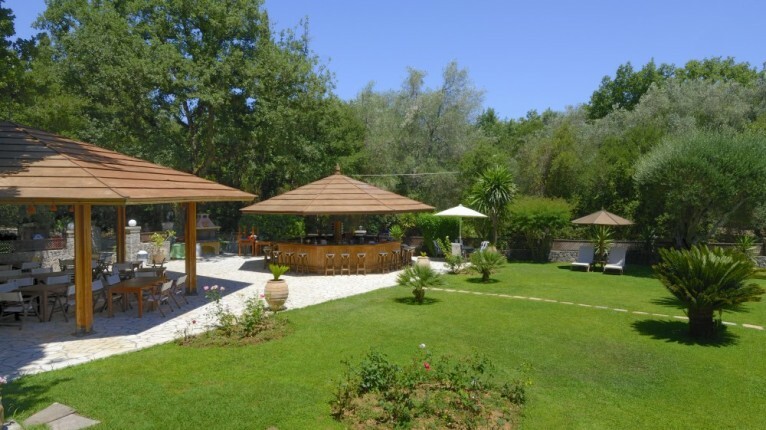 Hotel Fiori is set in a peaceful green area not far from the resorts of Dassia and Gouvia. 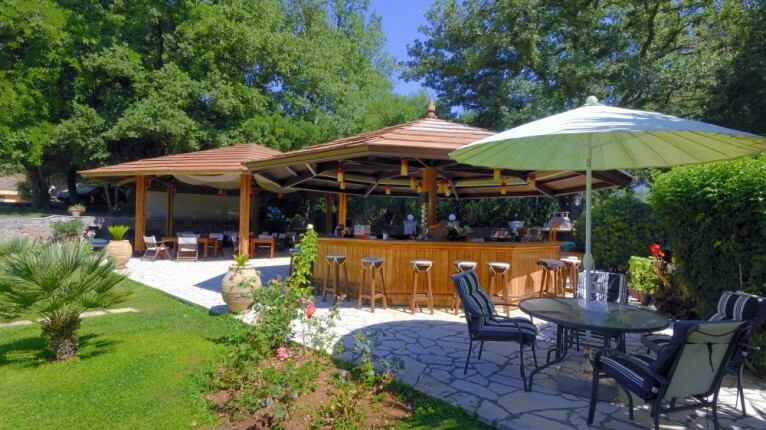 The owner and staff work extraordinarily hard to provide the best service and to make their guests feel at home. The pleasant rooms are spread over the ground floor and the first floor and have views of either the garden and pool or the hillside. The double rooms have either a double bed or two single beds and the bathrooms have a toiler and either a shower or a bath. 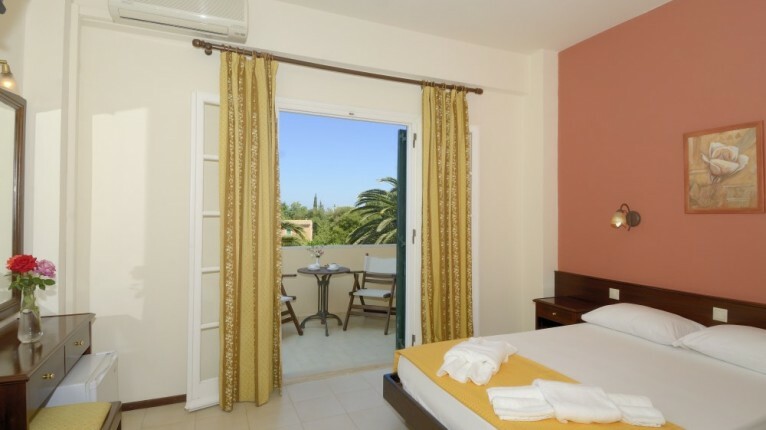 Some rooms have an additional bed making them suitable for up to 3 persons. Family rooms have a double bed and bunk beds which are suitable for children up to the age of 10 years. 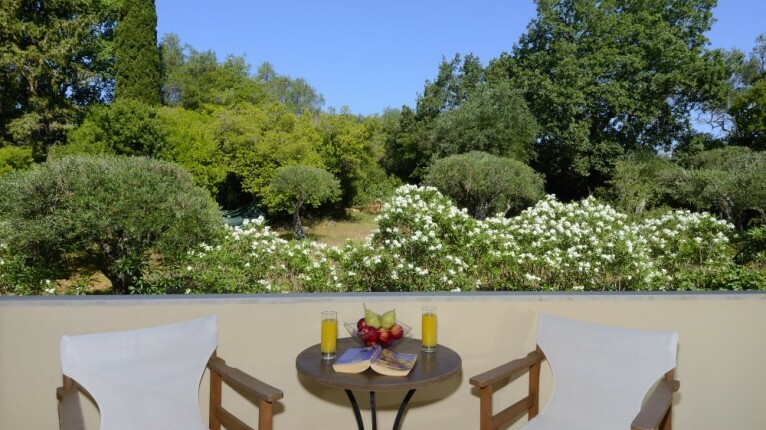 All rooms have air conditioning and wifi included in the price and are equipped with TV, safe and a mini-fridge. A buffet breakfast is included in the price and additional meals can be arranged locally to be enjoyed in the restaurant. 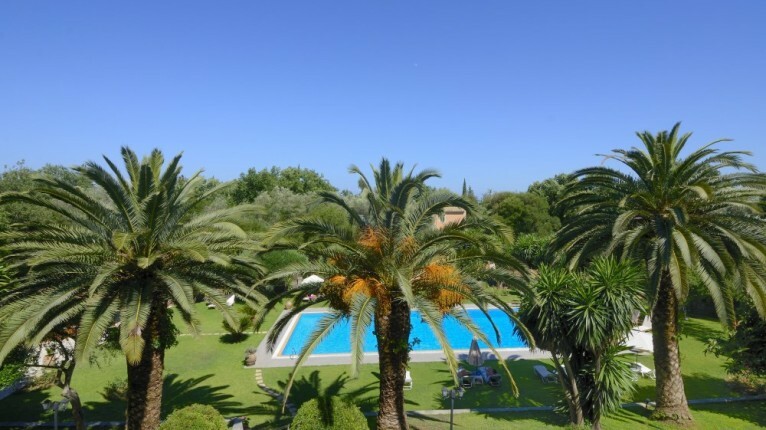 A good size swimming pool with comfortable sun loungers and parasols is located within the beautifully tended gardens. Drinks and light snacks can be purchased from the pool bar. Cleaning and change of towels occurs daily and bed linen is changed three times per week.